In 1982, Hull, Scott, and Smith published a compilation of scholarship on the history, condition, and politics of black women in the United States. The works collected in Some of Us Are Brave spoke back to academic and policy research done in the name of black women, and challenged their absence from contemporary black studies and women’s studies curriculum. A groundbreaking interdisciplinary and activist venture, Some of Us Are Brave shaped the way women of African descent in the United States would be studied, organize, and theorize for decades to come. Gloria T. Hull, Patricia B. Scott, and Barbara Smith, eds. 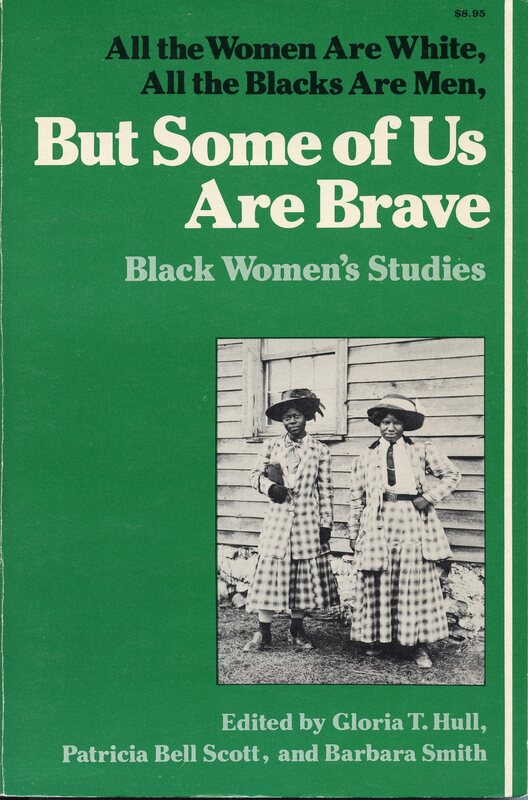 All the Women Are White, and All the Blacks Are Men, but Some of Us Are Brave: Black Women’s Studies. New York: Feminist Press, 1982. Bibliographies and a collection of syllabi provide readers with essential classroom materials and a map for further research. Winner of the Outstanding Women of Color Award and the Women Educator’s Curriculum Material Award. Pingback: Hobson Discusses All the Women and Continuing Legacies | @AAIHS – African Diaspora, Ph.D.